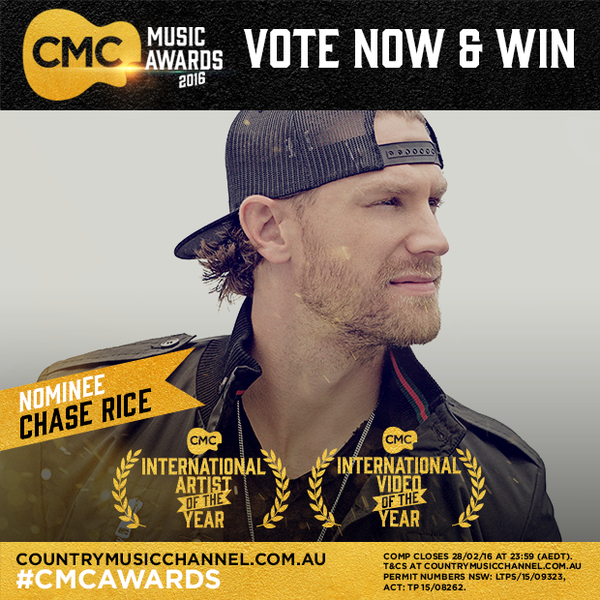 The CMC Music Awards are coming and Chase is nominated in two awards! CMC is Australia's 24-hour country music channel. The CMC Music Awards are fan voted. Chase is nominated for International Video of the Year and International Artist of the Year. One vote, per category, per day.